I let the Salmon Faverolles out for a run in the yard for the first time this morning; they were so excited and happy to be treated like ‘big chooks’. There are only seven of the original ten left; all three died from the same mystery Marek’s like disease we seem to have acquired. Treatment with St John’s Wort tincture prolonged the life of one chick but he ultimately died and the other two were fine one night and dead the next morning with the characteristic neck drawn back, splayed leg posture. 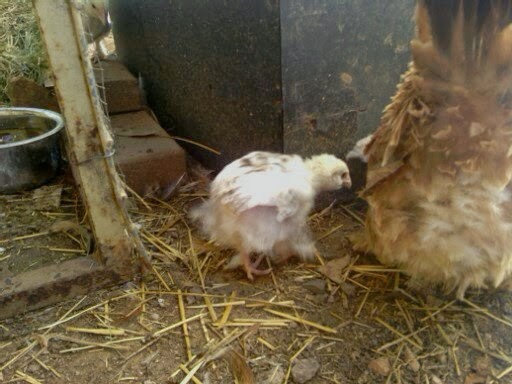 The seven remaining chicks are growing fast and have reached that awkward adolescent stage between chick and chook when they are scruffy and disproportionate to look at, but these chicks somehow manage to make that stage look cute (I really am in love). 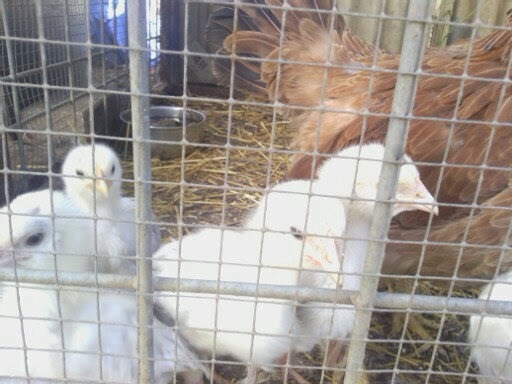 In their pen, waiting to be big chooks. 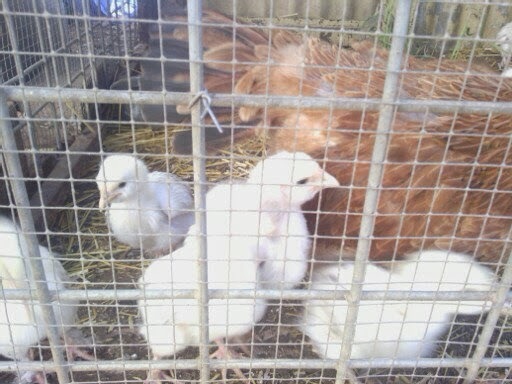 Three days later, they are big chooks and the pen is open. Foraging for bugs with mum. 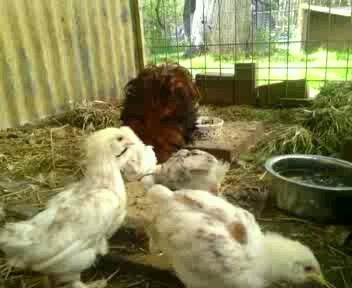 I will let them out for a few hours every day for a few weeks to let them learn to forage and enjoy being chooks. We will need to build them a pen of their own soon as I am a bit worried that my cross breed flock will be too aggressive for them; they really are gentle and docile chooks.